Welcome to the School Newsletter for Term 1 Week 7. This week, I joined our Year Six students on camp at Milson Island Sport and recreation Centre, on the Hawkesbury River. This time away early in the year gave all students and staff an opportunity to further develop relationships and to participate in challenging and team-building group exercises. Our students were a credit to the school and their families. Thank you students! I would like to thank Miss Andrea Gatt, Mr Matt Smith, Mrs Michelle Marshall and Mr Jeff Alcock who also accompanied our students for two days and three nights. Thank you also to Mrs Jackie Yow who assisted with the supervision of all students. Thank you so much to all - without your commitment and support, our students could not attend such events. I was overwhelmed with the positive comments, both from the camp staff and from the teachers, about the behaviour our students had displayed throughout their time away. They truly are exceptional leaders of our school. Last Friday, we held our annual St Francis of Assisi Swimming Carnival. It was a little cold to start with but as the day progressed the weather improved. The children competed in an atmosphere of co-operation and enjoyment. Almost every child competed in an event and enjoyed themselves tremendously. A huge thank you must go to all the parents who helped throughout the day with a multitude of tasks. Well done to our Kinder teachers and parents who ensured their children’s first experience of a swimming carnival was such fun. Events like this cannot be successful without the support of the school community. I would also like to thank Michelle Marshall and Debbie Cossettini along with their committee of helpers who organised this day. It is a big job and the day ran like clockwork. It was a great team effort. The winner of the carnival will be announced on Monday. A couple of weeks ago we ran a cyber-safety information night called Think-U-Know. This is a program put together with the AFP in conjunction with Microsoft, informing parents about the different types of issues young children may face in the cyber world. Unfortunately, this night was not very well attended. When talking to parents about this I was told that it was a little too generic and didn’t give all the answers they were looking for as parents. In recent times the school has been dealing with a number of issues regarding cyber safety, including inappropriate language by children, the misuse of emojis, cyber bullying etc. The timing of most of these occurrences has happened outside of school hours including times when young children should be in bed. As such, we have decided to run another parent session, targeting all parents of our Year 4 – 6 children, however, everyone is welcome, where we will run through the types of apps that this primary age child is exploring at present. Mr Collins will give details about the pros and cons of each of these apps and ideas on how to supervise your child safely. Mrs Cossettini will then run a workshop on how to access the parental restrictions on your device and how to limit screen time etc. at home. We would like you to bring your child’s device with you. The night will be held next Tuesday 26th March at 6pm in the library. It will run for approximately 1 hour. Both Mr Collins and Mrs Cossettini have spent a considerable amount of time developing a presentation that is very specific to the needs of our school. I strongly urge all parents to attend. If child minding is a problem, please bring your child along and I will look after them in the STEM room. A flyer has been sent home via Skoolbag and SZApp earlier this week and is attached for your information. Grandparents’ Day will be held next Friday 29th March. The line-up will be a little different this year as we will start the day at 9:30am with a music concert. We then invite all grandparents to bring a picnic morning tea to share with their grandchildren in the peace garden. We will have tea and coffee facilities available. Grandparents will then be able to visit classrooms after morning tea. We envisage the day finishing around 12:00pm. I am hoping that next Friday we will continue to be blessed with the beautiful warm weather that we have been experiencing lately and that I get to meet as many Grandparents as possible. Parent Teacher interviews and Three Way Interviews will be held on Monday 8 April, Tuesday 9 April and Wednesday 10 April (Week 10). This year we offer Parent Teacher Interviews to our Kinder – Year 2 students where parents and teachers are given the opportunity to discuss the progress of your child to date. Children in K-2 are not expected to attend. Three-Way Conferences are just that - a formal discussion involving teacher, parents and child. The Three-Way is aimed at giving information on how the student is going at this early stage of the year and looks at goal-setting for the rest of the year. Children in Years 3- 6 are welcome at these meetings. We find that these meeting are a valuable way to talk to and make parents aware of their child’s progress thus far. Please ensure you make a time to meet with your child’s teacher. The Three-Way Interviews booking site will be open over the coming week. It is easy to use and should only take a few minutes. Information, including a log-in code, will be emailed to parents by the end of next week. The Ninja Warrior Colour Run will be held on Friday 12 April and it is approaching fast. We will have a fantastic launch tomorrow afternoon at 2pm in the school hall and the children will be truly excited. There are many incentives for the whole school and wonderful prizes for children to win. Our goal this year is to raise $15 000. Last year our colour run was very well received and the children had a fantastic time. It is certainly something that they are looking forward to this year. The children will also have access to a healthy lunch through the canteen if they like. A note will come home about this shortly. Please note, that if you do not want your child to participate in the “Colour” part of the run please make sure that you inform your child’s teacher. We strongly recommend that you provide you child with sunglasses or goggles for this day. All information, including sponsorship cards will be sent home today and we encourage all families to seek sponsorship for your child. Take it to work, ask friends and relatives. All money raised goes directly back to the students. Our new groundsman Jeff, has many ideas on how we can improve our playground for the children. He has already started by putting in synthetic turf in the Peace Garden. The first of our Working Bees this year will be held this Saturday morning from 9.00am to 11.00am. We have plenty planned including moving mulch, cleaning up the sandpit area and general tidy up of our Kindergarten area, ready for our enrolment time. Jeff would like to lay some synthetic turf around the outside of the sandpit but needs help in removing the excess sand first. 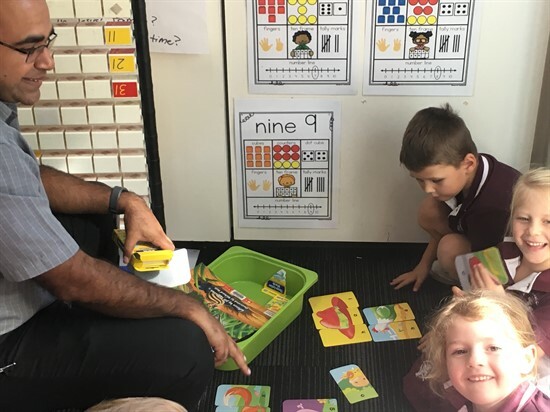 I understand it is very difficult at times to help at your child’s school, but a Working Bee is a great opportunity for working parents to come along and help out- even if it is for an hour. You will feel as though you are contributing and the school benefits too. Children are most welcome to help too. I look forward to seeing everyone on Saturday morning. Unfortunately, this year, none of our Community Council Members are able to coordinate our Mother’s Day Breakfast. We are looking for a member of our school community who may be able to assist. The coordinator organises the parent helpers by providing information about times and areas of assistance on the day. They also help with the ordering and shopping for the breakfast food that is required. If you are available to be our Mother’s Day coordinator this year. Please contact the school. You may remember proposed changes to school buses first being raised in Term 3 last year. We have attached a letter received from Judith Sturman, Executive Group Manager, Public Transport Operations advising that these changes will commence from 29th April (Term 2). It also outlines the changed routes which will impact students from St Francis of Assisi. Please follow the link to see which bus your child will need to catch from the commencement of Term 2. We note that one of the morning buses arrives prior to the commencement of teacher supervision and would appreciate all parents of students who will be travelling to school on this bus to advise us as soon as possible. The on-line enrolment period has now finished for Confirmation Year 6 (June), Eucharist Year 4 usually (August) or Reconciliation Year 3 usually (November). You can still enrol your children for sacraments this year at the parish office, 167 Bugden Ave, Gowrie; however, a late fee will be incurred for late registration for a sacrament. 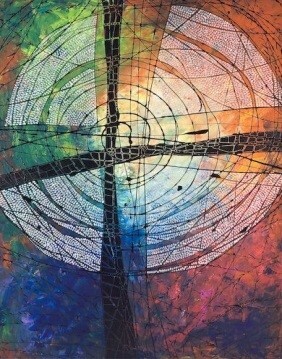 Please check the website for further information www.ccparish.org.au or email Lisa-marie Russell (Corpus Christi Parish Sacrament Coordinator) at Tuggerong.Sacraments@cg.org.au if you have any queries. At Mass this week, the first reading was about the prophet Jonah and his journey to Nineveh. God asked Jonah to tell the people of Nineveh to turn back to God because said the city is in danger and would be destroyed in 40 days, but Jonah didn’t want to go, so he ran away from God and boarded a boat. When he was on the boat, God got angry and sent a storm. The other men on the boat threw him overboard but before he could drown, a whale swallowed him and that’s where he stayed for three days. When the three days were up, Jonah was spat on to the dry land of Nineveh. Then Jonah went to tell the king to turn back to God or else the city would be destroyed in 40 days. The king told all of his people to pray and follow God. When 4 Fire attended morning Mass at the Sacred Heart Church, Father Praveen wore purple to signify that we are in Lent. The sunlight streamed in through the Church windows, it made us feel warm and safe. During the homily, Father Praveen addressed 4 Fire. He said that Lent is about making sacrifices and giving up our sins. As individuals, we should give more, listen and show respect to all of God’s creation and to look on the inside of others - not what’s on the outside. After Mass, Father Praveen said to spread the Word of the Lord and to act like Jesus. We promise to love one another this Lenten season. 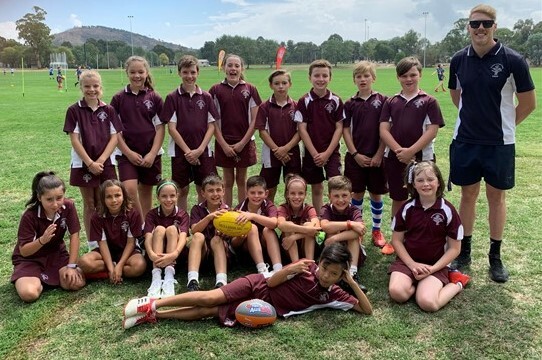 Last Thursday 13 March a group of Year 5/6 Students represented St Francis at the Tuggeranong Region AFL Gala Day. The students involved played in a round robin competition, with all schools playing in finals at the end of the day. A group of Year 5/6 girls played with students from St Anthony's and they have successfully advanced to the ACT finals, which is being held next term. Well done to all students who participated in the gala day and for the way you represented St Francis of Assisi Primary School! On Friday 29 March, the St Francis of Assisi school community will be celebrating Grandparents Day. We would like to invite ALL children’s grandparents or special friends to attend a morning of fun and enjoyment. After the performance in the hall, we invite you to bring your own picnic morning tea to share with your own family at recess time in the Peace Garden. 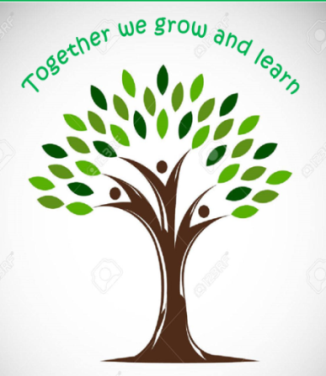 This day is a wonderful celebration for grandparents and children to come together and value what we at St Francis see as really important, our God, our children, our staff and our families. We hope you will join us at this very special occasion. NAPLAN will take place during May 2019 for all students in Year 3 and Year 5. Please find attached some important information about NAPLAN. Now that St Francis of Assisi Primary School has a brand new website and new-look school newsletter, we are asking all parents and carers to download the SZApp app which is a new app for the school to communicate with families. Please follow these instructions to install SZApp on your smart phone and receive alerts when messages are sent to the school community. SkoolBag is being phased out and will not be used after the end of Term 1. Issue two of Scholastic Book Club are due no later than tomorrow - Friday 22 March. Sorry but no later orders will be accepted. The roster for Term 1 has been sent out. If you would like to volunteer your time to help in the canteen, please let us know and we will add you to the roster. This is a friendly reminder that Term 1 school fees are due for payment this Friday 22 March 2019. Thank you to those families who have settled their school fee account for this term, or have a direct debit or Bpay plan in place. Please email me with any school fee related queries at susan.rowell@cg.catholic.edu.au or call me in the office on 6292 4500 from Tuesday to Friday. School banking is every Wednesday. Please bring bank books in on Wednesday and they will be returned by Thursday of the same week.